Lemon Harangue Pie: Would you board Flight 666 to HEL on Friday the 13th? 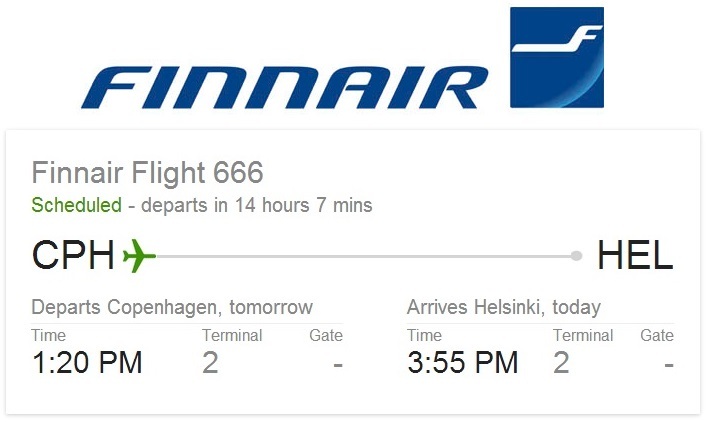 Would you board Flight 666 to HEL on Friday the 13th? I would, if I had to. In fact, many passengers take the daily Finnair flight AY666 from Copenhagen to Helsinki. And as luck would have it, that particular flight falls on Friday the 13th twice in 2013. No big deal.